The property market of south Chennai has been performing considerably well in the recent past with integrated townships and reasonable rental values striking a chord with the end users. Read the following post to know more about the realty souk of south Chennai. The Chennai real estate market is typically end user driven. Among the three segments, the residential realty market still has the maximum number of bidders. If we invest sometime in analysing the dynamics of the real estate market of Chennai, we will find out that every corner of the city has recorded some variations in growth in the dynamics of the micro markets. Though compared to other cities, the rental market of Chennai has not been performing that well. However, in the short run, an upward movement within the residential realty market is expected to witness an upward movement. Over time, this is also expected to boost the demand for rental houses in Chennai, thus increasing the prices of residential property in Chennai. South Chennai is one of the most posh areas of the city. The region is home to industries such as automobile, electronic manufacturing and of course the Information Technology (IT). Other industries include the south Indian film industry. 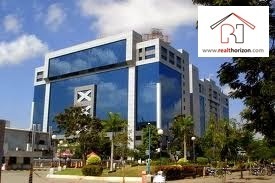 These have been the key drivers of the real estate market of Chennai - whether commercial or residential. The residential real estate market of South Chennai has witnessed tremendous growth in the recent past with huge investments from the NRIs. This has led to the construction of new-age residential properties like duplexes and penthouses. Recently, the concepts of serviced apartments have become quite popular in the region. Similarly, the commercial real estate market in south Chennai has also gained importance owing to the flourishing IT/ITeS sector. Business Parks, IT Parks and plush office buildings define the landscape of the region. Major localities include Old Mahabalipuram Road, Perungudi, Thalambur, Kelambakkam and Grand Southern Trunk Road. Areas like East Coast Road, Velachery-Tambram have scored extremely well in within the residential realty segment. The Old Mahabalipuram Road (OMR) has stretch has witnessed a huge upsurge in the real estate market in the last twelve months. There has been multiple project launches along the 26 kilometres stretch that has recorded great absorption level at the same time. However, real estate prices relative to the location continues to remain a key determinant in the success of a product. Neighbourhoods of Karapakkam, Perungudi and Thuraipakkam have recorded sales figures that are moderate mainly due to the existing levels of prices and a dearth of infrastructure. Ample small-scale residential realty projects have dotted this region falling within the price band of INR 5000-6000 per square feet. In the coming months, the locality is expected to observe the infusion of fresh supply. Localities of Sholinganallur and Perumbakkam are two major micro-markets of the residential real property of south Chennai. These localities are not only expected to witness a spree of residential products that would be launched in the coming months. Strategically located Velachery-Tambaram road has been a hub of real estate activities in the recent past. Its appropriate location, clubbed with outstanding connectivity to suburban localities, has helped in retaining the real property prices of the micro markets. The region has recorded an appreciation of at least 10% during the last 12 months. Integrated township projects are being launched in the locality of Semmancherry that has already recorded ample advance booking. Siruseri on the other hand, houses the biggest IT Park in Asia. 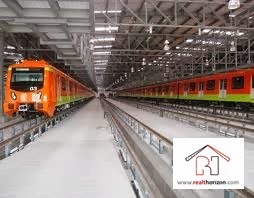 It is also witnessing the development of some mid-segment projects. Some new launches are expected to come up in the near future.